The local food movement has a powerful new poster girl. The new farm is worlds away — in Maui, Hawaii, near her palatial farmhouse estate of 60 acres, one of the many properties she has bought in recent years, according to real estate reports. It’s situated at almost 4,000 feet elevation on the side of Haleakala, a dormant volcano, where it gets consistent rainfall and plenty of sun. They designated 16 acres for farming and ended up planting a single acre with 100 species of fruits, vegetables and herbs. Hens are also supplying eggs. They hired a Honolulu company called Bio-Logical Capital to create the farm, using “regenerative agriculture” to build soil health and save water. The fertile volcanic soil is being further enriched with natural fertilizers, compost and cover crops. “Everything grows five times as big as you’d expect”. 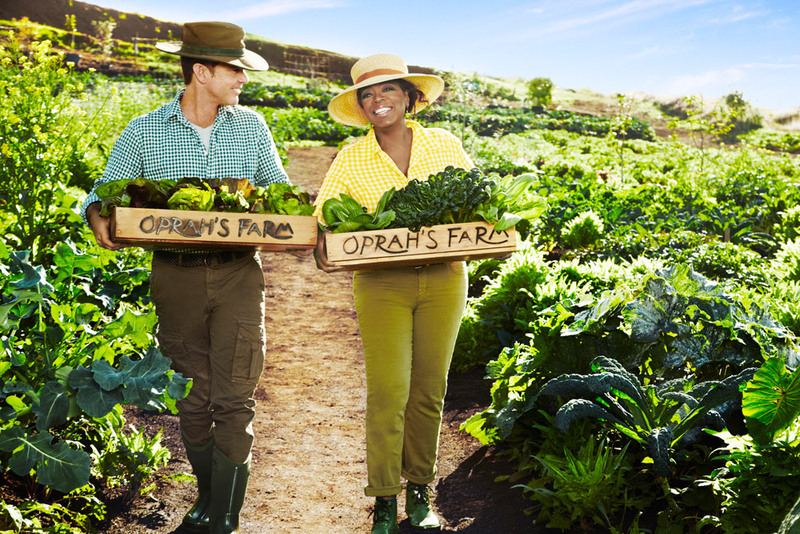 It’s also way more than the Winfrey household could consume — 145 pounds of food weekly. “We’re still figuring out the best way to make use of our bounty, but for now I walk down the road with bags of lettuce, going, ‘Hi, would you like some lettuce? I grew it!’ I feel like I can’t waste it,” she writes. She’s also donating it to local restaurants and charities.